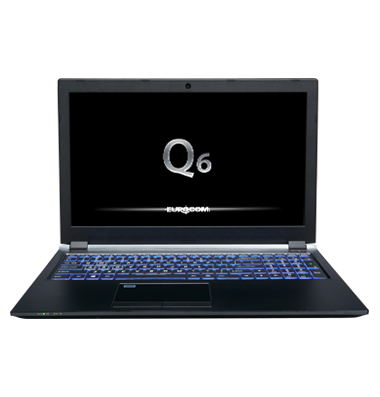 Eurocom launches today its newest 18.6mm Max-Q creation the EUROCOM Q6 model that its fully customizable. It comes standard with Intel Coffee Lake i7-8750H 6core/12treads CPU, GTX 1070 8GB DDR5 and offers a choice of LCD displays (from 60Hz FHD and UHD up to 120Hz FHD), choice of storage options (both M.2 and 2.5") and communications (including LTE/4G). It also comes standard with TPM 2.0 onboard and supports encrypted drives. • Display Technology: supports total 4 active displays; supports NVIDIA Surround View via HDMI x1 and miniDP x2. • Mechanical (Frame):Titanium Black Aluminum Alloy (AL-5052): back cover, top case and bottom case. • Cooling: High performance, high quality copper GPU and CPU heatsinks to keep your system running cool.